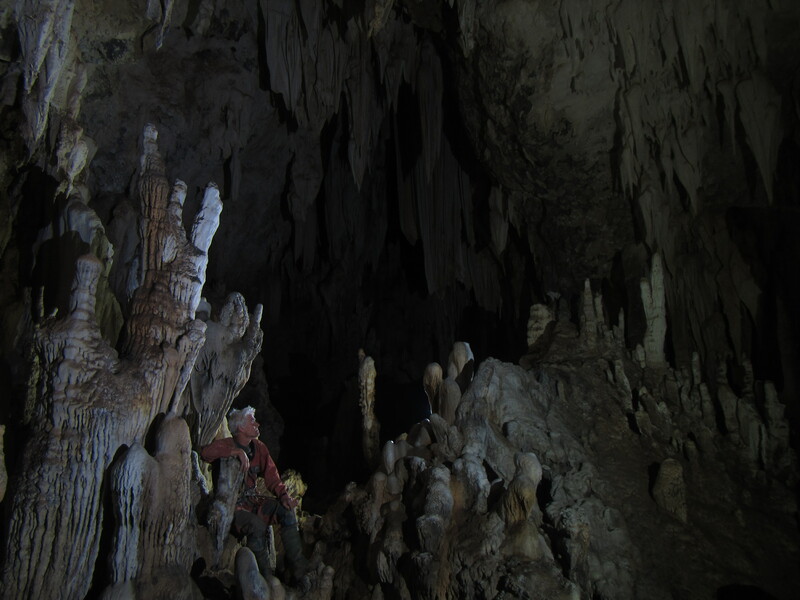 The Myanmar Cave Documentation Project was initiated by Joerg Dreybrodt in 2009. I got involved along with Imogen Furlong, Pete Talling and Phil Rowsell in 2010, before returning the following 4 winters. During this time we have seen a lot of political change and an increase in tourism, but throughout the period the people of Myanmar have always been incredibly welcoming. 2011: A six person team returned first to the Taunggyi and Hopon area and notably extended Hopon Spring Cave to 1655m length. The expedition then moved to the Northern Shan State, carrying out initial reconnaissance in the areas of Kutcai and Lashio. In total the expedition mapped 4.6km of cave passage. Download: Shan Plateau Expedition 2011 Final Report. 2014: The expedition extended the exploration in Ywangan Township to the north of Kyauk Khaung into the area known locally as the “Dragon Lake”, a large doline that seasonally fills to become a lake. This doline contained three significant caves: Dragon Cave (1.7 km) which is the presumed monsoon overflow resurgence from Kyauk Khaung, Spring Stone Cave (1.9 km) another monsoon resurgence and the Skylight Hole – Linwe Sink – Black Rising system (0.9 km) which drains the seasonal lake. In total the expedition mapped 5 km of cave passage. 2016: The expedition targeted the western edge of the Shan Plateau. The expedition was initially based in the town of Kyaukse, from where the team commuted to the base of the ridge every day. The aim of this part of the expedition was to investigate possible resurgences along the base of the ridge which may represent water sourced higher up on the Shan Plateau. Two significant resurgences were located, one smaller outflow near Khin Lae village, and one larger outflow near Phoe Inn village. The Phoe Inn resurgence also had an associated cave located nearby from which the subterranean river and other dry fossil passages could be accessed. 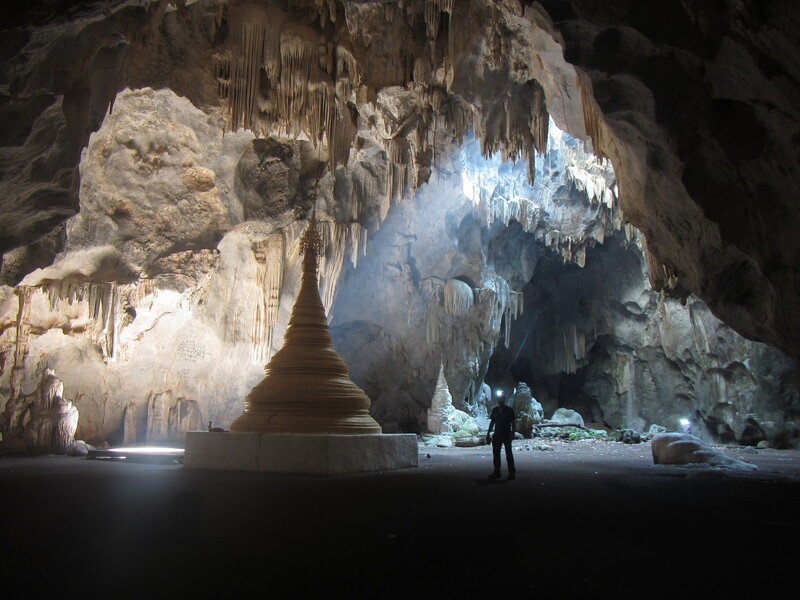 In total Phoe Inn Cave was explored to over 1.2km in length, including two entrances. The river sumped in both upstream and downstream directions. 2017: Despite last minute withdrawal of permits to visit normally closed areas in the East of the Shan Plateau the team returned and surveyed around 4km of cave between Ywangan and Pindaya. Full details to follow.